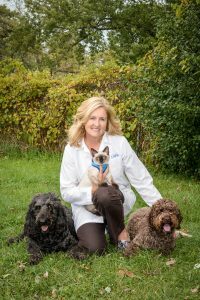 Dr. Debbie Godfrey is the founder of Emeryville Animal Hospital. 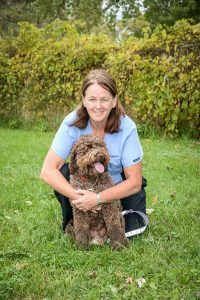 She grew up on a large animal farm on P.E.I.,where she nursed kittens back to health and helped deliver piglets; sparking her interest in Veterinary Medicine. 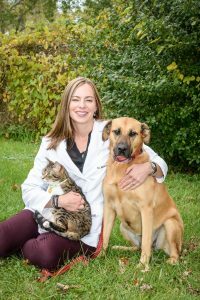 Dr. Godfrey shares her home with Aria, a Lagotto; Tango, a labradoodle rescue; and Jon Snow a stray kitten she rescued. You will find her at hockey games, camping with her Husband and pets, and at Therapy Dog visits with Aria (a St John’s Ambulance Dog!). This busy lady also has a summer cottage rental program on P.E.I. that is managed by her husband, Glenn. After a long day of work, nothing makes her happier than having a glass of wine, reading a good book, enjoying a meal made by Glenn, and knitting with her pets gathered round. 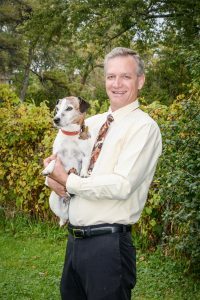 Born and raised in the Lakeshore area, Dr. Donatelli began working at Emeryville Animal Hospital in 2001 while in Vet School. 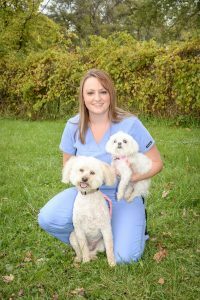 She graduated from the Ontario Veterinary College in 2004 and has practiced at with us as a small animal Veterinarian ever since. Her special interests include internal medicine and parasitology. Dr. Donatelli is married and has 2 children, Marissa and Nicholas. The family has 2 Jack Russell Terriers, Mya and Max. When she’s not busy at work, Dr. Donatelli enjoys quality time with her family and staying active with running. 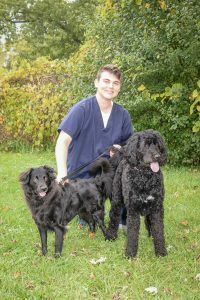 Dr. Grant grew up in Windsor and graduated from the University of Guelph in 2002. 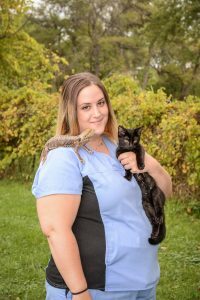 She loves seeing cats and dogs; but is also proud to help pocket pets, reptiles, and birds. Dr. Grant has a special interest in diagnostic imaging, spear heading the purchase of our state-of-the-art ultrasound unit and arranging training for fellow team members. She loves to run with her dog Scout and spending time with her Husband and 3 sons at the arena. As a graduate of OVC ’97, Dr. Jeun has been a part of the EAH team for 20 years. 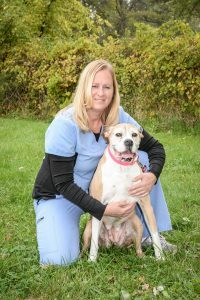 She loves to interact with pets, and their families, to help them with wellness or other veterinary health care. 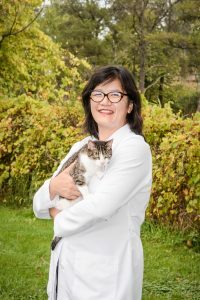 Dr. Jeun also enjoys working with exotics (small mammals, small pet birds, reptiles), counselling clients on pet behaviour and treating pain/lameness with acupuncture. Although currently between pets, Dr. Jeun has a fondness for beagles and grey kitties. She is an “Auntie” to several dogs, cats and guinea pigs. During her time off, she enjoys camping, baking artisanal bread, yoga and meditation. 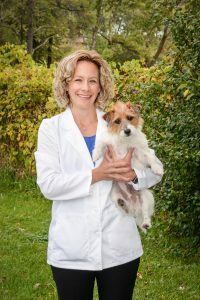 Dr. Jeun is the standing President of Ontario Veterinary Medical Association (OVMA). Shaun is the Clinic Manager and has been with Emeryville Animal Hospital from the beginning. He won the OAVT Veterinary Technician of the Year Award in 2013. Shaun has a Jack Russel named Bing, who likes to escape sometimes; and a Terrier Mix rescue named Winnie. Shaun is a great handyman, which is always helpful in an animal hospital. He also enjoys camping, fishing, and spending time with his wife, Marion; son, Alex; daughter, Marlies; and grandson, Kaiden. Shaun is an avid home vintner and loves to experiment with different fruit wines. Carey is a Registered Veterinary Technician and the Technician Supervisor at Emeryville Animal Hospital. She has been with the clinic for 16 years and looks forward to many more. She has a 12-year-old boxer named Callie; and 2 wonderful boys, Zach and Mason. She keeps busy coaching both sons’ hockey teams and plays hockey herself. Carey loves to ride her ATVs, jetskis, and snowmobiles or spend her time ice fishing and camping. Sara is a Registered Veterinary Technician who joined the team in 2009 and is the Kennel Supervisor. She has special interest in cats, exotics, and ultrasound. 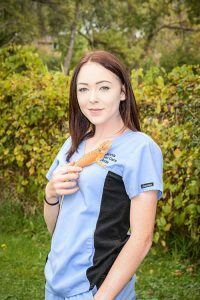 Before her time as a Technician Sara, held many internship positions in Dolphin Facilities and she has carried that passion with her to this day. In her down time Sara loves spending quality time with family and friends, scuba diving, and travelling. Her favourite escape is Bermuda. Sara has 3 cats: Sebastian, Savannah, and Sammy. 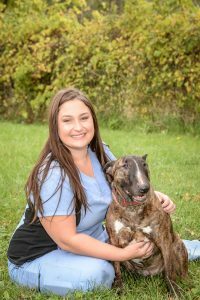 Emilie has been with Emeryville Animal Hospital as a Reregistered Veterinary Technician since 2011. She is the Reception Supervisor and has a passion for making each visit a special experience. 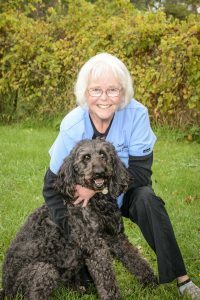 She has special interests in senior pet care, alternative therapies, nutrition, and anesthesia. She is a newlywed and recently added a new puppy to the family, an English Bull Terrier named Vinny. During her spare time, Emilie likes to help friends and family plan parties. She also spends time working on hers and Bryan’s newest Crazy Adventure, which have included rebuilding four-wheelers, Jet-Ski racing, boating, camping and home renovations. Jessica is the newest Registered Veterinary Technician at Emeryville Animal Hospital. She joined the team in 2016 upon completion of her degree at St. Clair College. Jessica’s love for animals started at a very young age and inspires her every day to help put the wag back in a sick pup’s tail and a smile on a nervous pet parent’s face. You can always count on her rumbling laugh and quick witted humour to bring a little joy to your day. 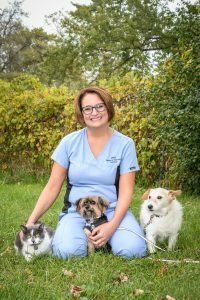 She has two young rescue kittens, Jon Snow and Chester B.
Nikki has been working at the clinic since 2010 and has held many roles, including Technician, Animal Care Aide, and Receptionist. She has three rescue pets: a Yorkie named Oliver, a Jack Russel named Truffles, a cat named Kitty Koo, and a Lovebird named Zap Brannagan. Nikki loves the Toronto Maple Leafs and vacations with her family. She also enjoys trying new classes at the gym, baking, and shopping for antiques. You can always count on Nikki’s smile greeting you when you come to the clinic. Leandra is our newest Registered Veterinary Technician here at Emeryville Animal Hospital! Cindy has been a receptionist at Emeryville Animal Hospital for more than 21 years. She helps keep appointment files in order and is one of the first people you’ll see when you come to the clinic. She has a big wonderful fur-family that includes 2 dogs, Marvin and Timmy; a cats, Pumpkin; a bearded dragon and a cockatiel. Cindy enjoys spending time with her children and attending their concerts. Note: Cindy was unable to attend picture day, it was her daughter’s last high school recital. We are waiting for the leaves to turn green again to get her new picture. Tanya joined the Emeryville Animal Hospital team in 2005 as an Animal Care Aide. These days, you can find her greeting you at the front desk with a big smile. She helps keep our reception area feeling welcoming and decorated for the holidays. Her hobbies, and little-known talents, are baking, cooking, and do-it-yourself projects. Tanya has two Maltese dogs Emma and“Ben, and a Pompoo named Macy. Paulette has been working as the Trainer and Groomer at Emeryville Animal Hospital for 9 years. She has over 30 years of experience and is a great resource for our Staff and Clients. Paulette is an adventurous soul, you can find her hiking, fishing, playing baseball, and going to an excited new vacation. She especially loves the winter months, when she can go snow mobiling and ice fishing. In February 2018, Paulette added a new member to her family. She now spends her weekends getting Jessie James, a Pomeranian, settled in to her new adventurous life-style. 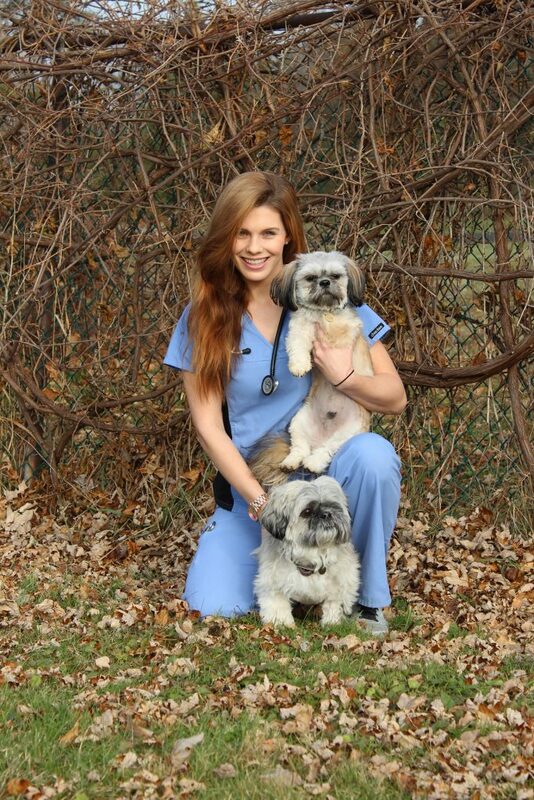 Jenna started with the clinic as a part-time Animal Care Aide and now with us Fill-Time. When she isn’t here assisting with grooming and daycare, or keeping the clinic clean, she likes to spend her time reading. Jenna has two chiweenies, Gunner and Reggie, and a Bearded Dragon named Wilma. She has plans to return to school in the fall, but we hope to keep her as part of our team. Mat has been an Animal Care Aide at Emeryville Animal Hospital since March 2017. He loves spending time with the pets in Daycare, assisting with procedures, and comforting our patients. Mat wants to make sure your pet feels loved while they are here. He enjoys longboarding with his 10-year-old Vizsla named Atticus. He is currently in High School and hopes to go to Medical School one day. Mat’s hobbies include being a referee, playing hockey, and playing the tenor sax in three bands. 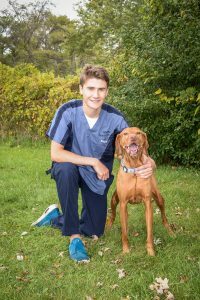 Nick started at Emeryville Animal Hospital as a Student Volunteer who did so well he was offered a position as an Animal Cair Aide in July 2017. He keeps your pets’ happy and comfy during their stay with us. Nick is interested in a multitude of Sciences, including Herpetology and Physics. He has a large animal family that includes a Bernedoodle, a Lab Mix, a cat, Corn Snakes, Ball Pythons, and Carpet Pythons. Like most teenagers, he enjoys spending time with his friends and playing video games. 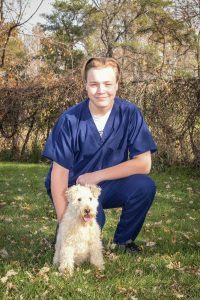 Grayson was interviewed on his birthday for a position as an Animal Care Aide and has been helping keep the clinic clean and pets happy ever since. He has a Lakeland Terrier named Whiskey, two African Claw Frogs, and one Albino African Claw frog. He has interesting hobbies, including collecting Vinyl and Shellac records and antiques. He even recently purchased a Victorian Phonograph. Grayson has enjoyed his time with us and looks forward to his future at the Emeryville Animal Hospital. Joann started volunteering at the clinic in August 2011 as our “Comfort Specialist” after retiring from 40 years of sales in the packaged goods industry. We are lucky to have her here in this unique position, spending time petting and holding pets that are here for procedures, to make the day less stressful. Joann has a Chocolate Lab named Scooby that she adopted from the St Clair College Veterinary Technician Program. Joann and her husband Roger like to spend time with their grand-children. Joann also enjoys baking treats to bring to us at the clinic.